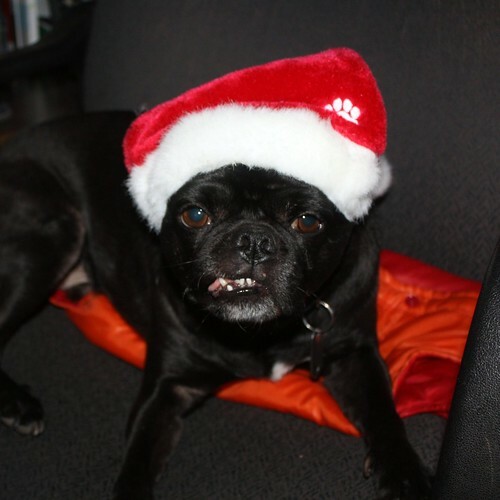 Walter won this handsome Santa Claus hat from Nip and Bones, a very cute store for dogs and cats. He was more content wearing the had when he still was eating his sweet potato treat (photo here)! Walter is so adorable in his Santa hat!